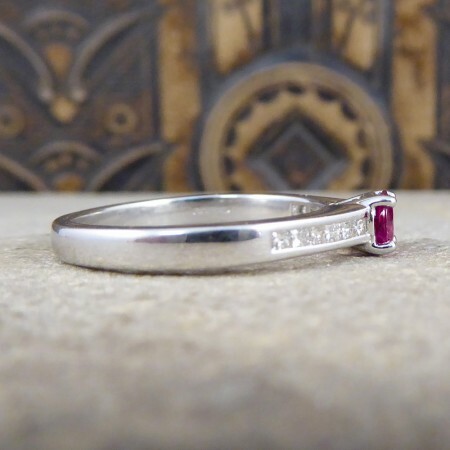 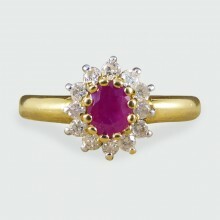 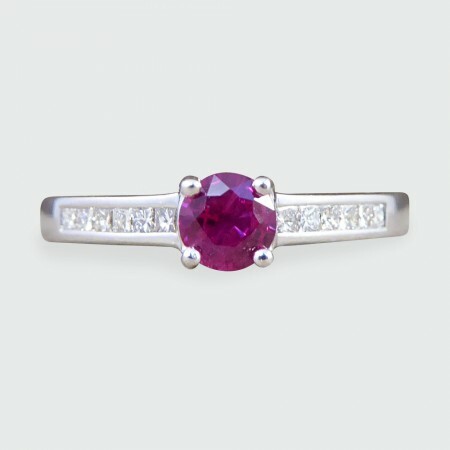 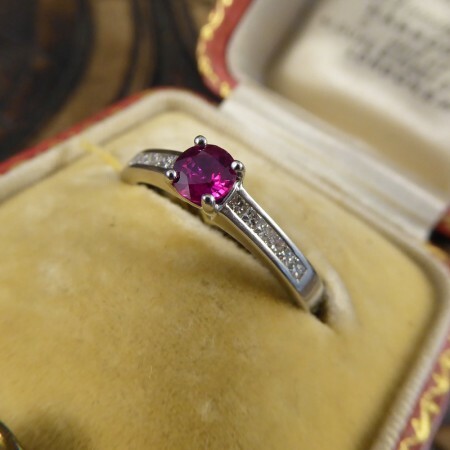 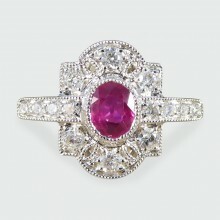 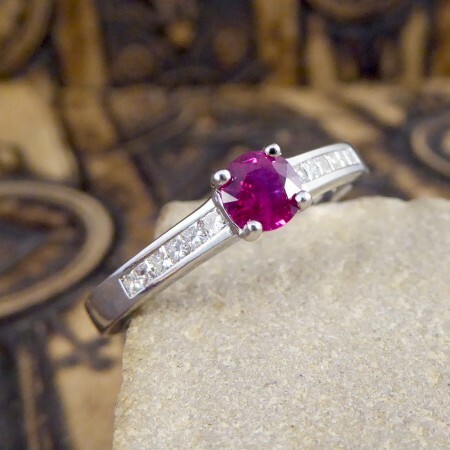 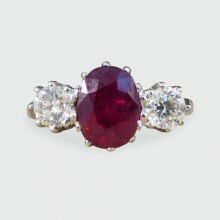 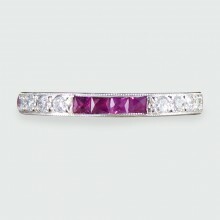 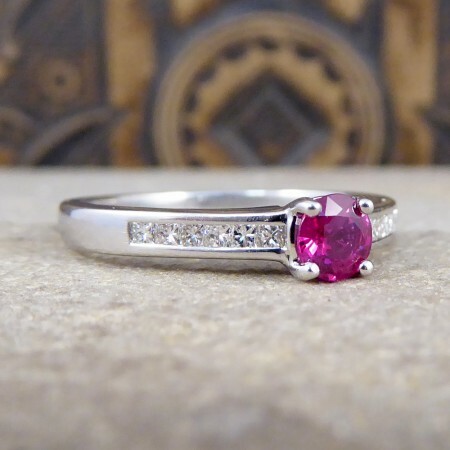 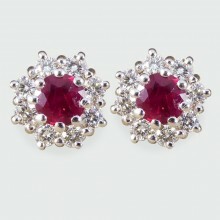 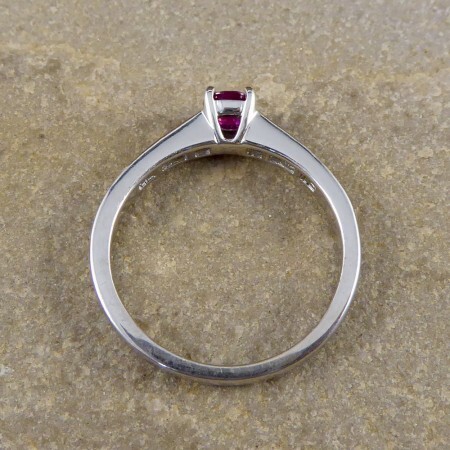 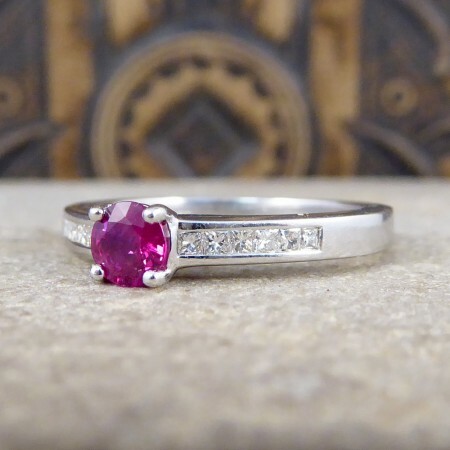 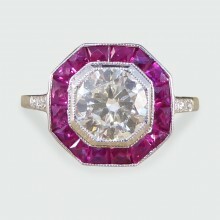 Lovely Contemporary Ruby and Diamond gemstone ring. 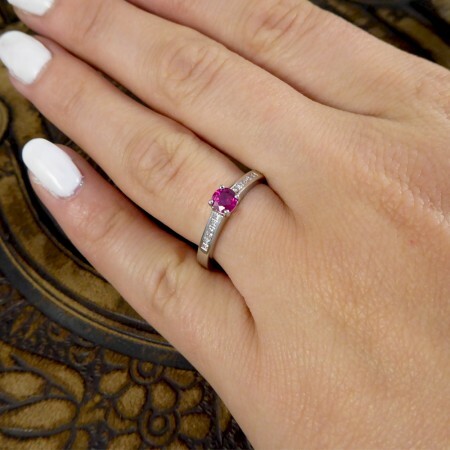 This pristine and fashionable ring has been crafted in 18ct White Gold creates a luxurious contrast with the Ruby gemstone weighing 0.35ct, with such a deep and alluring red. 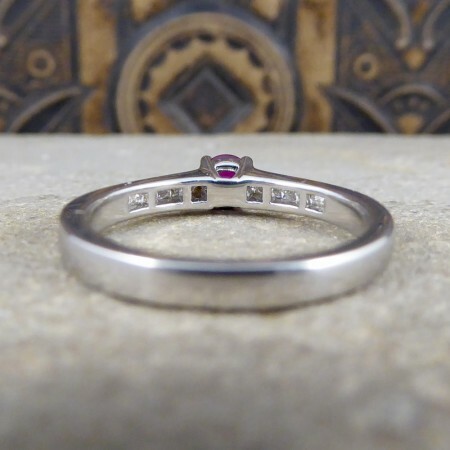 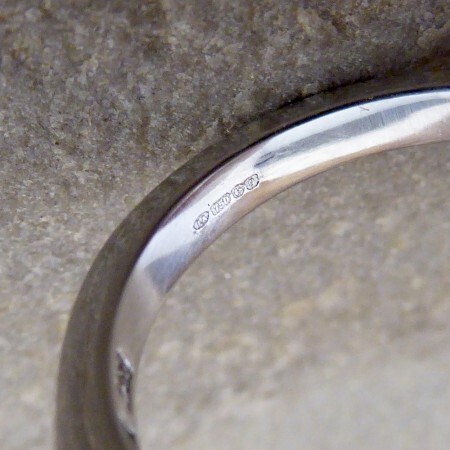 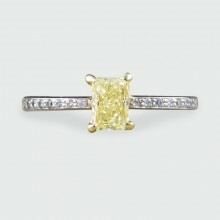 Highlighting and leading up to the Ruby are 6 Princess cut Diamonds set into each side of the shoulders, this ring is very modern and stylish and would make the perfect gift.